This week, Louise has been doing her best to addict me to the game of Minecraft. It started innocently enough of course, with her gifting me a licence key, and then inviting me into her world, where I am the novice of all novices. 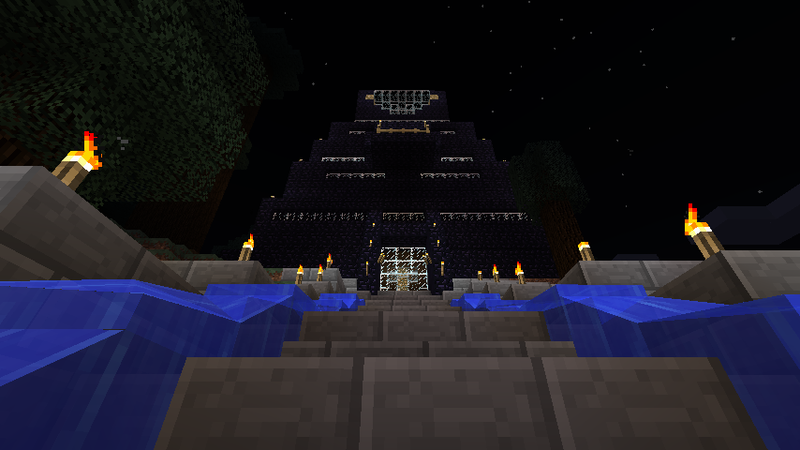 I proceeded of course to build my obsidian Evil Tower of Eviltude™ with attached Secret Underground Lair™ hidden beneath. Of course, what Louise didn’t foresee was the terraces of flowers and crops, and copying her own idea, a pen of rainbow coloured sheep. I also built a lighthouse, a railway line and am now extending further and further with a pyramid, and a further exploratory line into the east and south of the country. In other news, we completed Season One of the Great Game of Thrones Re-Watch on Saturday, and after a rather nice Sunday lunch of BrewDog Pizza and Beer, we have started on Season Two. I’m really looking forward, having read all the books so far, to the new season next month. Previous Post: Ooh, new glasses!